Samuel Zipp teaches American and urban studies at Brown University and is the author of Manhattan Projects: The Rise and Fall of Urban Renewal in Cold War New York. 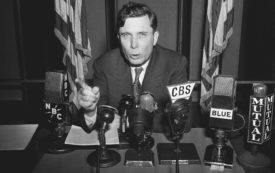 His book on Wendell Willkie and internationalism will be out in 2020. There's more to the legend of Jane Jacobs than her showdown with Robert Moses.